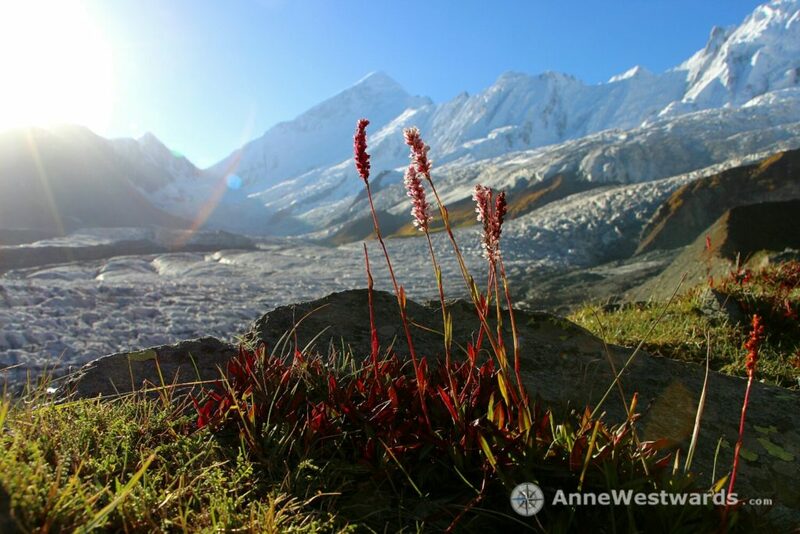 Postcards from the Saddle – Anne. Westwards. Apart from my bike Emily, my camera has been my most important companion in all those months on the road. This journey has taught me to settle into a much slower, gentler pace than what we are used to in our everyday routines. If I wanted to capture a particular scene with my camera, I took my time, sometimes hours, until I felt that I had finally managed to get the essence of this particular moment, this particular atmosphere. 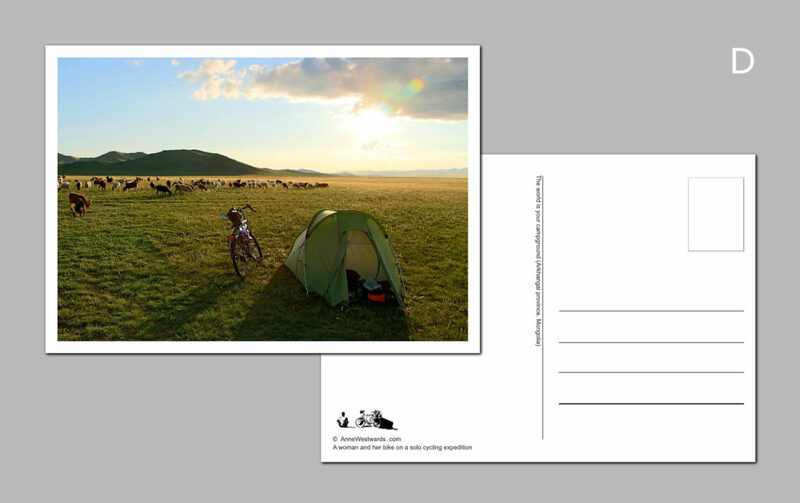 Now, I am very excited to announce that a little selection of my best photographs from the saddle went into print as postcards! Five photos is not enough to do justice to the wonderful landscapes and great people of Asia and the Middle East. Still, I hope they’ll bring the same joy to you as they did to me when I first laid my eyes on these extraordinary places. The moment the sun rises over the glacier of Rakaposhi, we forget everything else. The long hike on the day before, getting up to the base camp of the imposing mountain of Rakaposhi. The cold night in the tent, trying to find sleep at high altitude. The hour we had spent freezing outdoors at 5am, waiting for the sun to rise over the glacier. All that is forgotten in the golden rays of the sun, warming our faces and hearts. Five friends, who had met on the road and bonded instantly. And a moment that none of us will ever forget. 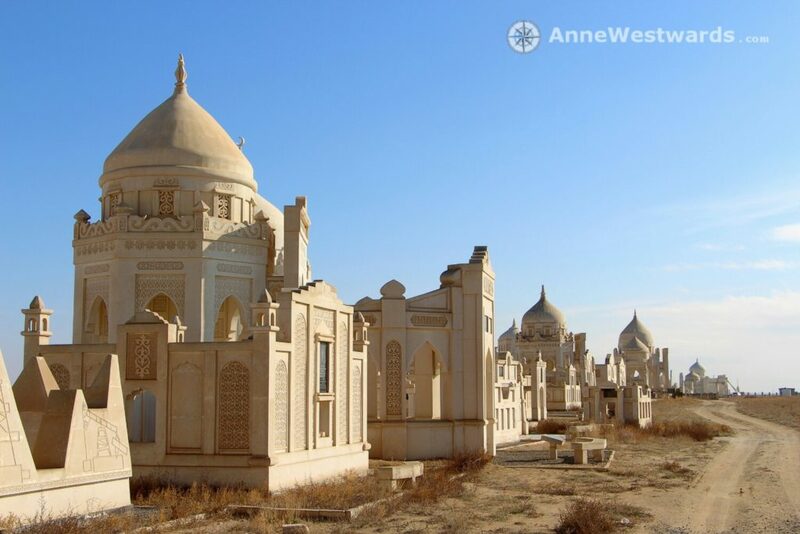 My first day in Tajikistan – and what a landscape to greet me with! Descending from my second pass of the day, I should hurry up to find a spot to camp, it is getting late after all. But I cannot take my eyes off the stark beauty of the mountains, the eternal street ahead of me, the clouds racing past, the sun bathing everything in gold. Even though I know that it will be freezing cold in an hour, I simply cannot stop. I cycle on and on and on, gorging on beauty, on quietness, on feeling one with the nature around me. Life can only be lived from moment to moment and this moment simply lasts forever. The desert reaches as far as you can see, flat golden stretches of barren land. And then, at the far horizon, a fairytale skyline rises from the shallow surroundings. The first thought is that of a Fata Morgana, so improbable seems the mere idea of domes in the desert. And yet. Yet, as you get closer, you realize it is a city in itself. Not a city of the living, but a city of memories, of those who are remembered, of those whose love and dreams still hang in the air just like an afterthought. That unbelievable sense of freedom, when you roam the wilderness and set up camp wherever you like. Nothing quite compares to this feeling, this way of living. Every movement is routine, every movement is meditation. Why would you hurry while setting up camp? 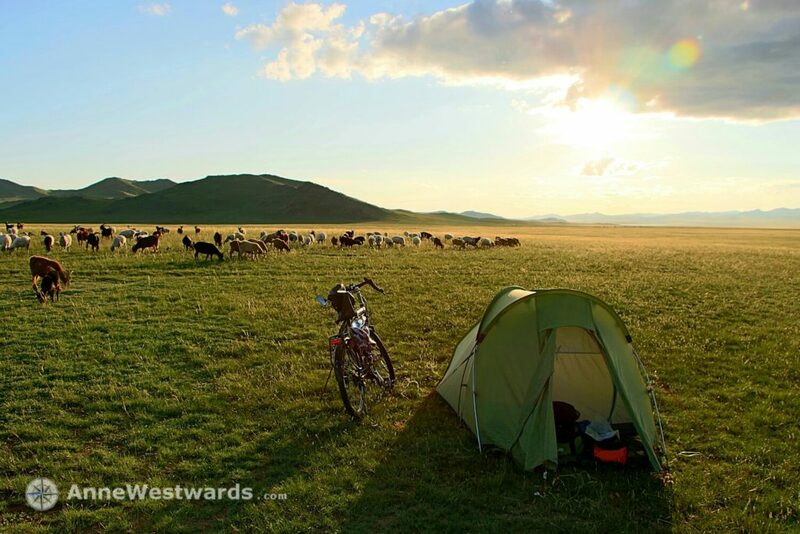 At least not in the golden summer sun in Mongolia. I take my time and enjoy that absolutely no thoughts are required, everything just flows. And then, at some point, my camp is ready, my diary is waiting, my heavy boots off my feet and a herd of goats comes to visit. Oh glorious nomadic life! The many switchbacks that lead up to Kunzum La pass, so many switchbacks! 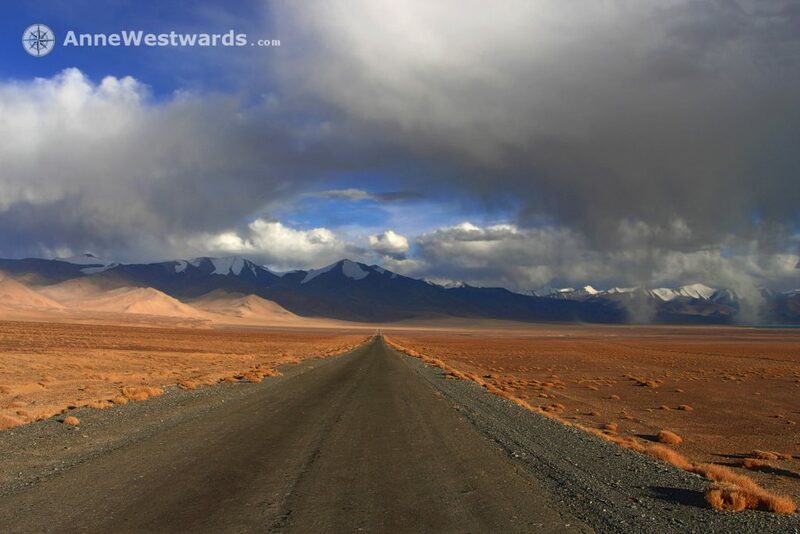 And yet, despite the altitude and despite the slow process, I am propelled by the thought of reaching the famous Spiti valley on the other side of the pass. Spiti, with its glorious colors and delightful rock formations. And yet another switchback… By the time I reach the pass, it is getting late already and the wind is chilling me to the bone. 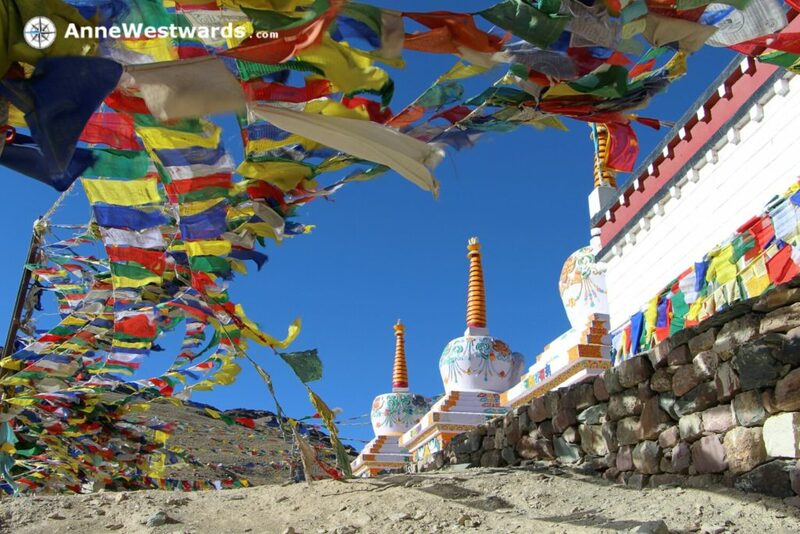 But I am captivated by the sheer amount of prayer flags that cheerfully greet me in the icy wind. The colors of Spiti, I love them already. Which ones are your favorites? Let me know if you’d like to get some and I’ll happily send them to you! 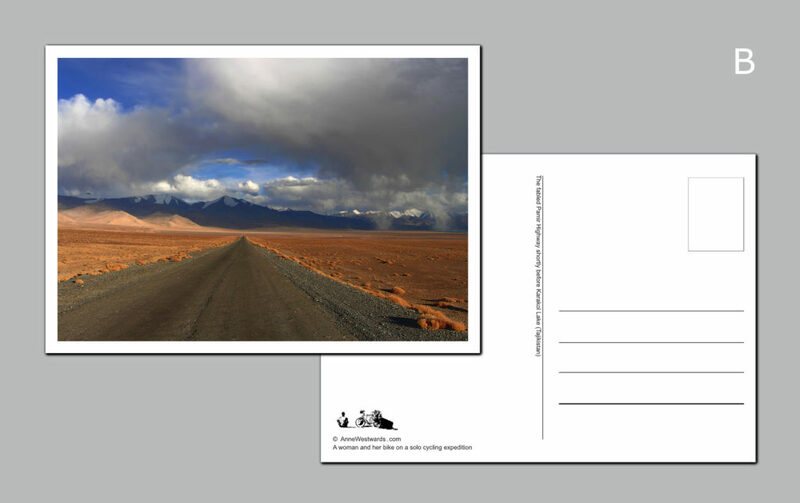 On the postcards themselves, there is no watermark on the photography, of course. 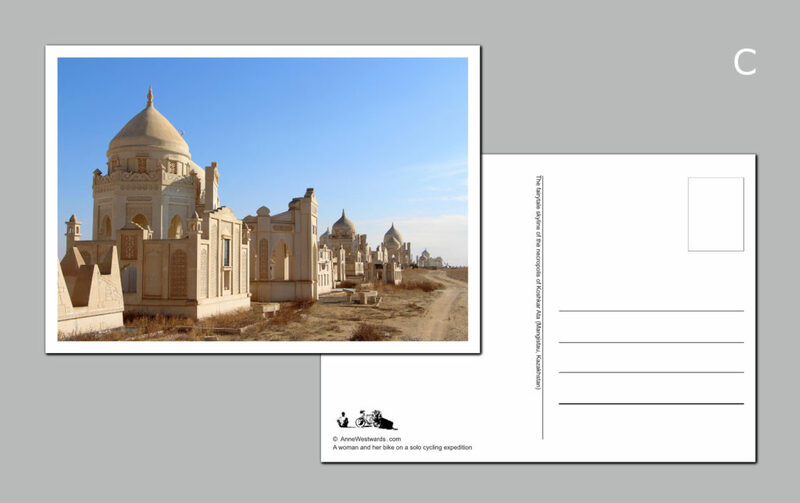 Each postcard has a short English caption on the backside, indicating where the photo was taken. Other than that, the backside leaves plenty of place to write your beautiful messages. Scroll down to the slideshow below to take a glance at the layout on the backside. And… if you order a photo calendar, shipping of the postcards is free (you can take a look at the calendar here)! Same if you ordered the calendar 2018 already – you’ll get the postcards shipped for free. Let’s be fair to all those who got their calendar early this year :-). Payment is possible via bank transfer (from EU bank accounts) or via paypal (from any account worldwide). Since the are being printed in Germany, shipping to addresses there is a bit cheaper. You want to get more than 10 postcards? Wonderful! Get in touch and we figure out a special discount for you (go through the order process below at point (3) and I will get back to you). If you are based in the EU, you will not have to pay customs. You can stop reading here. If you are based in Switzerland, you still won’t have to pay customs, unless you order a LOT of postcards (beyond the equivalent of 64 CHF). The same applies to many other countries: most often, there is a threshold below which you won’t have to pay any customs. You are unlikely to break that threshold with postcards, but it’s better to check than to be sorry. Customs is nothing I have a say in – this depends on international treaties. Also, the money does not go to me, but your country’s government. 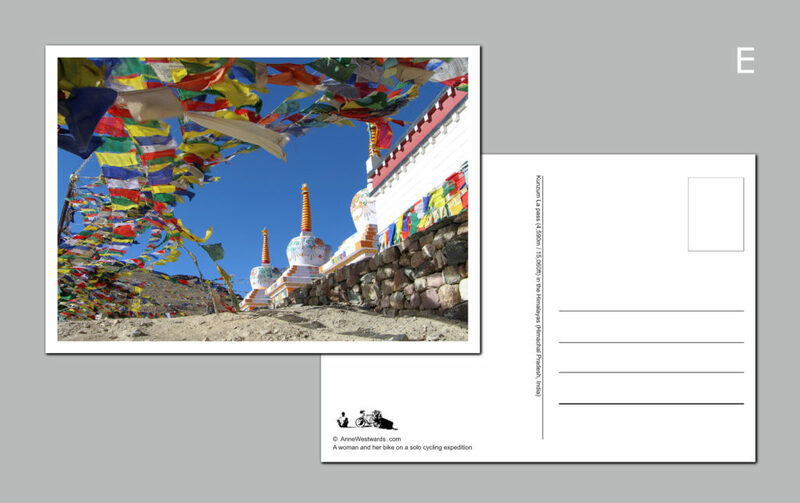 I hope that you will be very satisfied with your postcards. If not, please get in touch with me via via anne.westwards AT gmail.com, explaining the problem and mentioning the original order (amount, shipping address, name). For ordering, please copy the following text into an empty e-mail, fill out the details and send it to anne.westwards AT gmail.com. (Please note: in order to copy the text if you are not using a mobile device, you have to highlight it and hit CTRL + C on your keyboard, as the right-click menu is disabled). 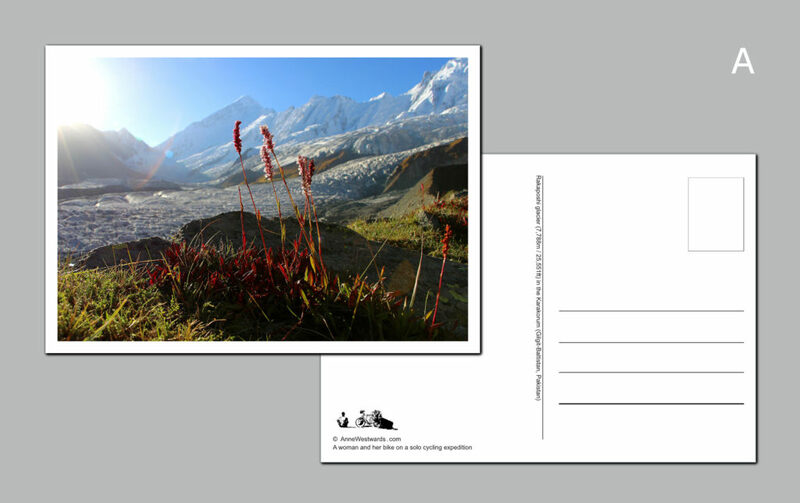 You can find the five postcards above, labelled A-E. That’s a bit easier than writing ‘that postcard with the glacier in Pakistan’. I would like to order the following postcards from Anne Westwards. Once your e-mail reaches me, I’ll send you the information needed for payment (bank transfer / paypal). As soon as your payment is received, the order will be processed further. Please note that bank transfers take a few business days to be processed, while paypal is received instantly. Thanks so much for your support, I really appreciate it!